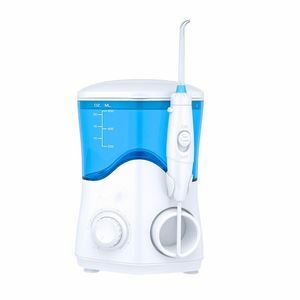 *Using 1400-1800beats/min high pressure pluse water flow to wash the teeth, eliminate the oral cavity odor, bring a different fresh feeling. *10 stage water pressure regulation from gentle to strong to meet the oral cleaning needs of all types of people. *8With 600ml reservoir for 2 minutes flossing,no need to refill water. *Slide button controls water spray,easy to operate. *Low noise and compact design.